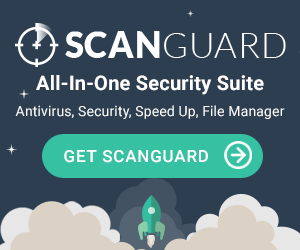 BullGuard Antivirus includes everything you’d expect in a security suite, plus a few additional bonuses - like tune-up utilities and a backup system. It causes next to no lag on your device, and receives decent scores from independent test labs. BullGuard Antivirus also provides a decent parental control system that’s better than what some other comparatively priced suites offer. BullGuard Antivirus tries to compete with bigger, more expansive security suites by providing a host of additional security and PC optimization features, including parental controls and a PC tune-up tool. It receives decent - but not great - scores from independent test labs, and is fairly affordable for the amount of different features it provides. The 60-day trial is also one of the longest ones available, and BullGuard Antivirus guarantees 100% protection against WannaCry and other ransomware. While BullGuard Antivirus does come with several different security features, the usefulness and success of those features is hit or miss. BullGuard Antivirus also provides limited protection for Macs; instead of the backup and parental control options it features for Windows and Android, Mac devices have the antivirus alone. It’s gotten some high reviews from a few different platforms, but the good (but not great) performance of the bonus features may cause customers to look at other similarly priced antivirus security suites that provide more protection. BullGuard Antivirus gets okay scores from our favorite independent test labs. It scores 88% for Protection and Performance 77% for Software Features ans and 84% for Ease of Use. Compared to other security suites we’ve reviewed, BullGuard Antivirus doesn’t do as well in overall score either, getting only a 76.2%. BullGuard Antivirus is at the lower end, cost-wise, for security suites with comparable features. A 1-year license for 3 devices is only $59.95. BullGuard Antivirus also has a 60-day trial period, which is double what most antivirus companies offer, and provides a 30-day money-back guarantee if you’re not satisfied with the program. Considering BullGuard Antivirus’s affordable price, it truly does come loaded with a wide array of security features that wouldn’t be out of place in a suite costing twice as much. In addition to the basic antivirus program, BullGuard Antivirus provides parental control options, a spam filter, a comprehensive suite of tune-up options, a vulnerability scanner, and a firewall. BullGuard Antivirus protects your devices in a variety of ways, and strives to make sure that you’re safe online. The spam filter integrates with Microsoft Outlook, Windows Live Mail, Mozilla Thunderbird, and IncrediMail, and uses a Bayesian filter that makes it smarter over time. It also has a Safe Browsing component which keeps you away from malicious or fraudulent websites, and marks both safe and unsafe links in Google, Bing, Yahoo, and Facebook. BullGuard Antivirus’s firewall is effective but simple, and lacks the more advanced control found in suites from Norton and Kaspersky. However, BullGuard Antivirus has a Vulnerability Scanner that searches your system for vulnerable security settings and related problems, and provides you a list of found issues so that you can repair them. BullGuard Antivirus has a local backup setting that can integrate with your cloud storage, if you have it, but doesn’t offer any cloud storage of its own. The parental control feature is strong, but can be thwarted if you know what you’re doing. Overall, however, BullGuard Antivirus has a full suite of security options to provide you with adequate protection. BullGuard Antivirus’s user interface is a little more cluttered than some other security suites we’ve reviewed, but it’s still fairly easy to understand and use. Clicking on any of the seven lit-up boxes lets you access options related to them; however, you’ll have to upgrade to BullGuard’s mega-suite if you want social media or identity protection. Purchasing BullGuard Antivirus is easy, and if you’re really worried you might have difficulty installing it and setting it up you can purchase assistance from BullGuard’s support team. Once purchased, BullGuard Antivirus is easy to install on your devices. If you need more than 3 devices covered, you can purchase access to more licenses; however, BullGuard Antivirus’s affordability starts going down when your license amount goes up. BullGuard has a strong support team that offers 24/7 access to a technician through both email and online chat. They also offer support in a variety of languages to accommodate their clients, and have a thriving support forum where users can interact with each other and receive help from other users. BullGuard also has an FAQ page and product guides to assist with basic troubleshooting, and they have an active social media presence, usually responding to Facebook messages within a few hours. BullGuard was established with a goal to protect everything in a customer’s digital life, from your data to your identity to your Smart Home. As the only security company whose sole focus is on the consumer, BullGuard combines their extensive technical expertise with a genuine understanding of your needs, aiming to give you complete protection across all your connected devices. BullGuard has an ongoing promise to be the champion of today’s digital consumer, and combines a team with decades of experience with a multi-award winning product portfolio to keep that promise. While BullGuard Antivirus does offer a wide variety of security features at an affordable price, none of these features work as well as some of the other programs we’ve reviewed. If you’re looking for a decent security suite to protect a few devices, BullGuard Antivirus may work for you; the long trial period gives you plenty of time to test it to make sure you like it. However, if you’re looking for more powerful and consistent internet security suites and cost is less important to you, we’d recommend checking out our antivirus comparison page for full list of top rated products. If you’re looking for something in the same general price range that has higher scores in independent tests, F-Secure or Avast Pro may be better choices. In the end, it really depends on what you’re looking for and where you’re placing your value. BullGuard Internet Security. "This antivirus software was recommended to me by my computer repair person, who happens to be my best friend from hi-school. After purchase, I've installed it and ran all necessary updates that it prompted me to do. I have found that Bull guard allows my computer to run much faster than what other similar products did. No lags or noticeable delays, windows runs fast as well as other software that I use. I'll definitely renew it when time comes early next year. " "Best in class mobile security app - it does what it says it does." "Since I installed this on a new pc it's stopped many attempted hacks, Importantly it does not interfere with any of my programs, including games, so it gives peace of mind but stays in the background monitoring and protecting my pc. You don't need to worry about scanning every day either as it's own built in firewall does the trick." "Best Antivirus ever, I recommend this to everyone." "Its been quite a while since I actually paid for an antivirus and this was money well spent. It blocks and catches all the nonsense leaving you safe as can be on the web." "It's an amazing feeling to know that someone is protecting you all the time. Some time ago I found myself in a situation where I wanted to click on a link and didn't do it because I was afraid that it could be a virus. Now I can pleasure myself since it's risk-free with BullGuard." "Bull Guard is good internet security, total protection is also good." "Bullguard has saved me on many occasions, due to dodgy websites containing viruses and the such. It even saved my steam account worth around 800 euro from getting stolen, as it knew that the link I clicked wasn't the real steam website. If that wasn't there, I wouldn't have a steam account. 10/10." "I have found Bullguard an excellent program that actually works in the background protecting you from nasty enemies that would attempt to steal or destroy information on your PC and you can set the conditions you need but also be sure that the program will look after your system without further effort from you and will report as required anything unusual or dangerous and deal with that accordingley. I have been using another well known protection product but it did not take care of things automatically and you can call this program up anytime to check on its progress and readjust settings to your requirements. It is offered originally as a 60 day free trial and doesnt cost the earth and attracts a discount several times during that 60 days if you wish to buy the program. Is a brilliant piece of programming and easy to understand and use and keeps watch continuously while you are on your PC but you can check its performance as often as you wish. I intend to buy it when the 60 day free period expires. Its absolutely brilliant and I do not know any other protection program like it and it does not cost the earth either. Its amazingly brilliant and gives absiolute peace of mind." "I've used the BullGuard antivirus for 3 years now and I would recommend it to anybody looking for a stable and low system impact antivirus solution. Also the user interface is very friendly, so is the free technical support." "Bullguard is simply the best AV out there by a long shot in my opinion I have so rarely had a problem with it, but I will add that recently I had a problem and I used there instant chat service to speak about it, we looked at the problem together and they did what seems to be a tailor made patch for my rare system issue, how can you get support better than that! you can't, I have been a bullguard customer since its release I have built over 200 systems over the years for customer, bullguard has and always will be my only recommendation." "Surprisingly great product, first time using BullGuard and it just does it's job!! It doesn't slow my machine down and cleaned it up of a few viruses straight away during the installation process." "Just tried the new Internet Security and BullGuard didn't fail to meet my expectations again. The new version is very light and doesn't add too much weight to the system, also I like the new user-friendly UI and it's very easy to use. I've been using them for 3 years and a half now and never had a significant issue. So great job with the new version!" "i had many virus,s but with bullguard i am safe from now on awesome"
"anti virus can be very irritating. Bullguard however is a pleasure, seeing the bulldog always makes me smile - he's a good boy, quite and cute unless you are an unwelcome visitor." "been using BullGuard since 2010 and love the peace of mind it gives in internet surfing never had a issue since I installed it running smothley on windows 7 pro and windows 7 ultimate 64 bit"
" I have have Bullguard on my families computers for years after changing from another product and would never change from them, simple to use, powerful results." "As someone who repairs and services laptops i always inform my customers to use Bullguard as it will not cause any conflict with any software they have on there computers or windows software i always as part of there yearly service install bullguard as it is safe, and keep there computer virus free and protects there banking and card details safe i also use bullguard at home on my families computers and have done so for the last few years I recommend bullguard to anyone thinking about buying security for there computer." "the best anti virus i have used"
"First time using bullguard...impressive & trusted security provider. just recommend for all home users." "Have used Bull Guard for the past three years (previously used Norton) and just wouldn't use anything else. Excellent product, well pleased - well done Bull Guard and thanks for the help when I've contacted the help team - most proficient."